The girls aged 5 – 7 walked around Priorslee, fed the ducks and enjoyed the playground whilst raising a total of £278.00 for the charity. The Rainbows all received their Together we can Fundraise badge and enjoyed a visit from the Air Ambulance when they presented them with a cheque. 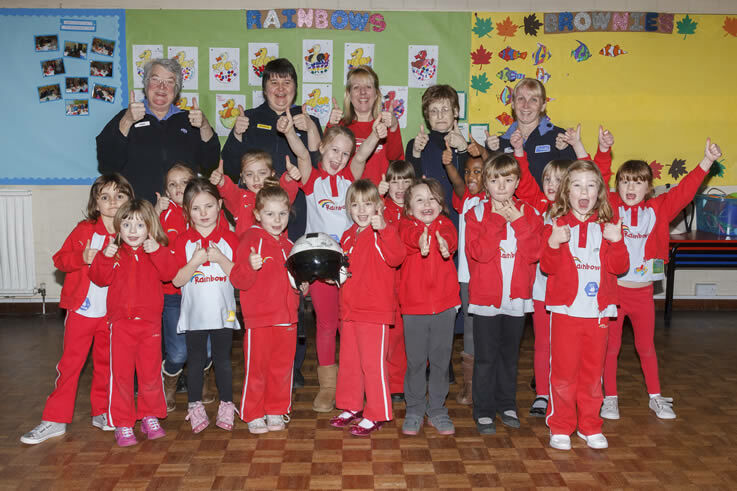 Pictured is Jenny Stuckey, leader of 1st Georges Rainbows with the group and Maria Jones from the Air Ambulance.